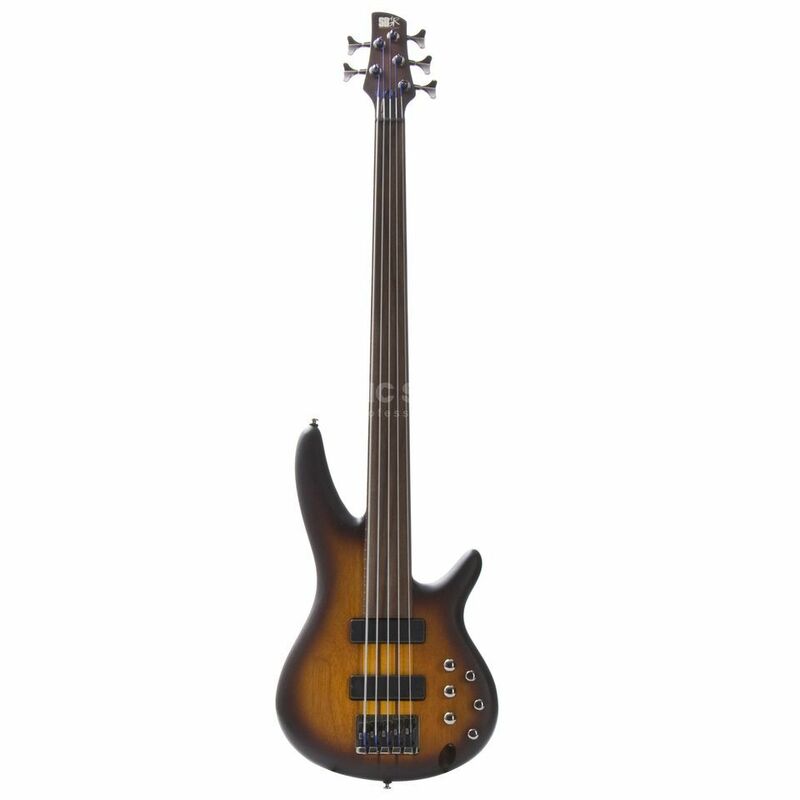 The Ibanez SRF705 BBF Fretless Brown Burst Flat is a five-string bass guitar built to excite through its smooth, fast neck and lightweight body, equipped with perfectly matched electronics. The SRF705 features an extended 30-fret Rosewood fretless fingerboard designed with special access to upper registers, typically usually only reachable on an upright bass. This fingerboard is fitted to a five-piece Maple/Bubinga through-neck that offers increased sustain and a vastly superior tone. The SRF705 is equipped with a custom bridge for the AeroSilk Piezo System, designed with unique plastic saddles that work with the piexo pickups and enhance the acoustic quality of the sound. The Piezo Level Control offers recessed controls on the back of the body, assigned to each individual string to control the volume of the Ibanez-exclusive AeroSilk Piezo pickup. This fretless bass is powered by split-coil MK1 pickups that provide a very wide frequency range and enhanced definition for maximum accuracy. The built-in AeroSilk Piezo system with active tone control features an EQ section that incorporates the controls of the Bartolini pickups. The sound of these pickups are controllable via knobs for master volume, balance and bass and treble controls for the Bartolini MK-1 pickups and a master volume and a tone control for the Piezo system.